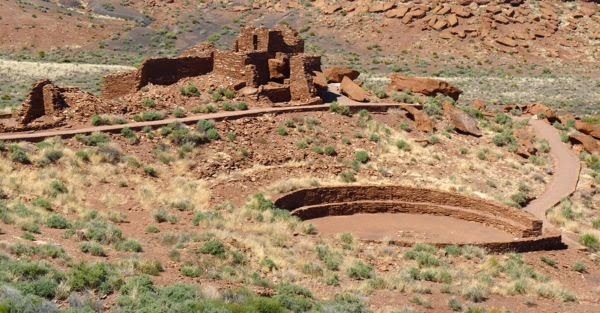 Visited Wupatki National Monument which includes six sites of pueblo ruins from about 1100 to 1250. 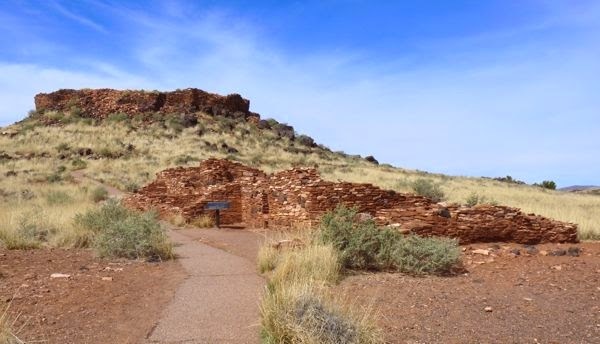 The largest of these is Wupatki, behind the Visitor Center, and has a paved trail with a pamphlet explaining the ruins. 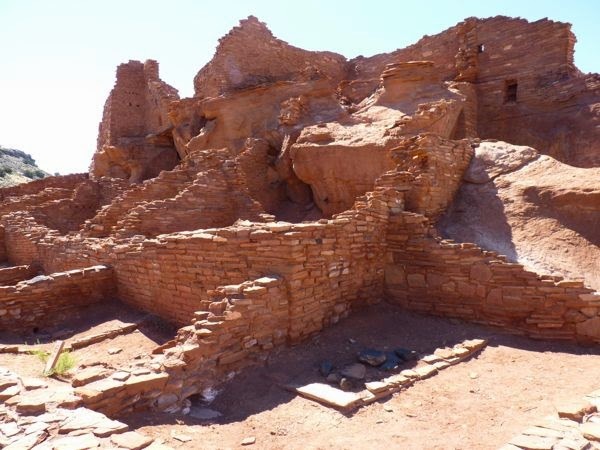 Besides Wupatki, there were other pueblo ruins; Wukoki, Citadal, Nalakihu, Lomaki and Box Canyon. These others were not as elaborate, but had their own character. At each, you could walk in and around the structures. 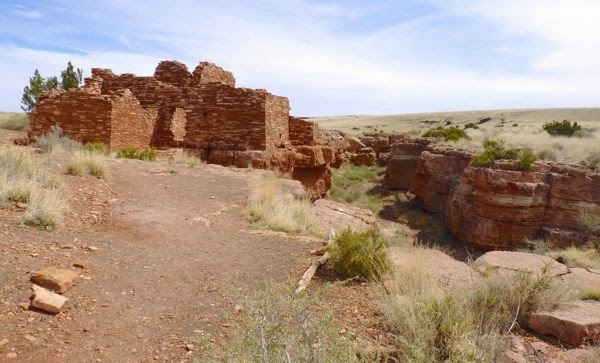 Driving to each pueblo site was easy on paved roads and adequate parking. The various ruins were similar in construction materials, but different in their settings and arrangements. They all seemed to have in common a water source, an area to garden, were built on a high point where they could see anyone approaching, and be easier to defend. All were important features. After a full day of exploring, I boondocked overnight for free a quarter mile off the highway just outside the monument. Hi, As a native New Mexican I have been enjoying your travels through NM and now Arizona. 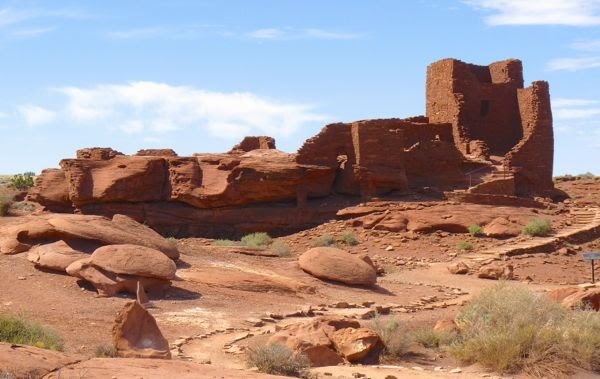 I visited Wupatki last summer. It is a great place to visit. Thanks for following along. It’s a special place for sure. We found this area to be of great interest and educationally informative. . Agreed. I’m fascinated by the history and how these people lived. 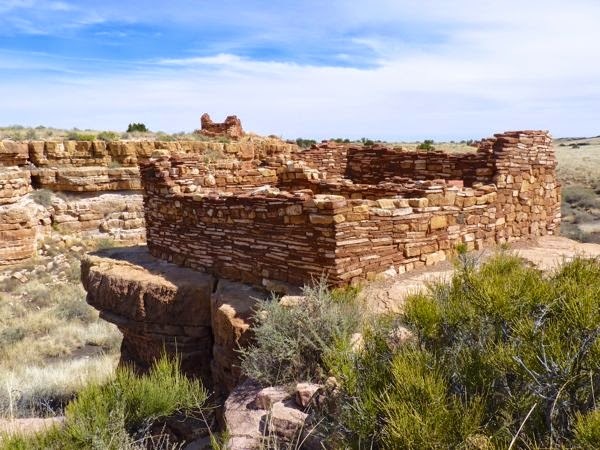 I went to Wapatki a few years ago and was pleasantly surprised – great ruins. Love your photos. It’s a very interesting place. Glad I went to see it. I appreciate the comment about the pix. Leave a Reply to Pleinguy Click here to cancel reply.